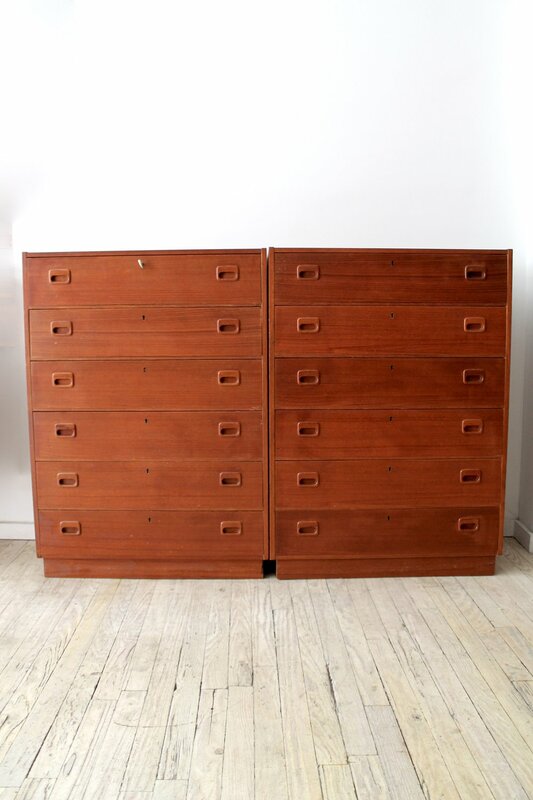 Impressive 7 drawer maple dresser by unmarked American manufacturer. Excellent storage and great lines with external legs. All drawers slide smoothly and easily. 45.5" tall. 43" wide x 20.5" deep. In good partially restored condition.